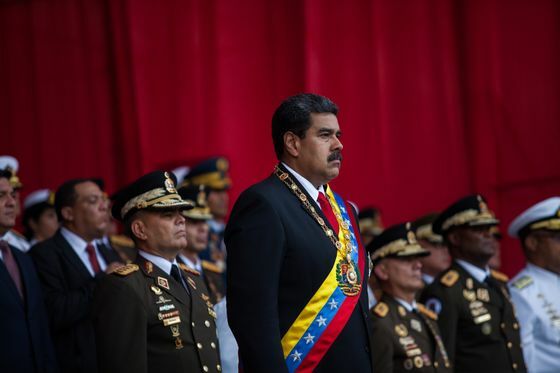 (Bloomberg) -- In the two months since opposition lawmaker Juan Guaido challenged Venezuelan President Nicolas Maduro for the country’s leadership, Maduro’s top lieutenants have asked to meet with the U.S. government, according to Senator Marco Rubio. 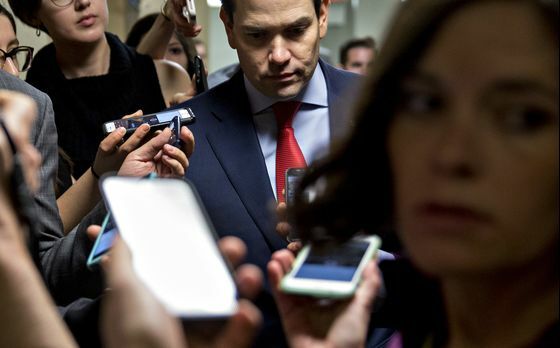 Rubio, a Florida Republican with strong influence over U.S. policy in Latin America, said in a telephone interview that the Trump administration has rejected such meetings because the officials seeking them can’t be trusted. The Trump administration has rejected offers by the Vatican and other nations to mediate between Maduro and Guaido, saying there’s nothing to be gained. The U.S.’s special representative for Venezuela, Elliott Abrams, met more than once with Maduro’s foreign minister, Jorge Arreaza, but said their conversations were limited to ensuring communications remained open and U.S. personnel, who have now left the country, remained safe. Contacted for comment, a State Department official said he had nothing to add to Rubio’s statements. Rubio said current pressure on the Maduro regime -- 50 countries, led by the U.S., have recognized Guaido as the rightful head of government -- will eventually succeed. He drew an analogy with antibiotics. When used on an infection, there isn’t a noticeable effect at first, but then there is. He said the effects of sanctions on Venezuela’s oil and gold sectors are starting to kick in. While expressing confidence in the policy’s ultimate success, Rubio acknowledged that those around Maduro, especially military commanders, are sticking with him out of fear of ending up in prison if he falls. Guaido and other opposition figures have assured them that if they defect they won’t be prosecuted. But they don’t believe it. Rubio also said Maduro could stay in power in the medium term if the Guaido-led opposition starts to splinter, a longstanding and frequent condition of the Venezuelan opposition over the past two decades. A good case could be made that Venezuela is a national security threat to the U.S. because of its support for leftist Colombian guerrillas and deep involvement in the illegal drug trade, but the focus remains on diplomatic and economic pressure, the senator said.